Step 1: When first activating your customer portal, you'll be prompted to save your own unique url address. We recommend using your company name or a variation of it. NOTE: Once this is saved it's a permanent url and can't be changed. 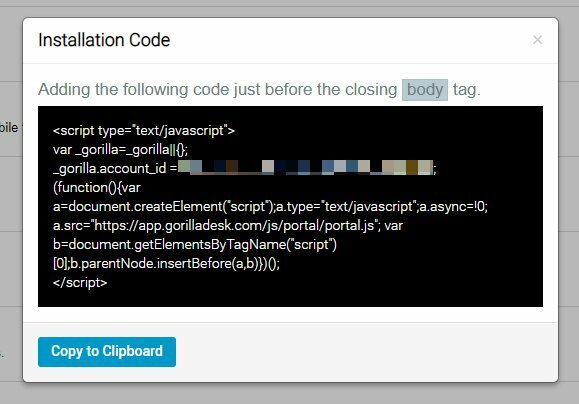 If you'd like the portal widget to appear on your website then you'll need to install the following code before the closing body tag on your website. Then on the right side menu, choose footer.php and insert the code at the very bottom before the </body> tag. Step 3: Using this setting will allow you to turn on or off the complete Portal feature set. Access Settings to modify the customer's permissions within the portal. Settings will allow you to show or hide the following areas of the portal. The following image gives you a view from the customer's perspective. We've highlighted the areas you can show or hide using the portal permissions. 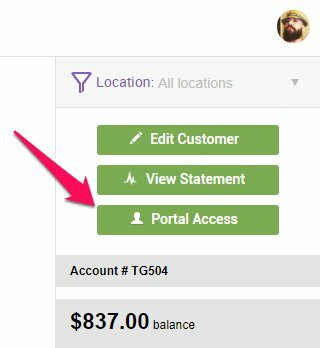 Step 4: The Portal Widget feature allows you to show or hide the portal sidebar widget on your own website. By default when you install the portal code, the widget will always show. This feature gives you the option to hide it. The image below shows the widget which will appear on the right hand side of your website, that can also be hidden. 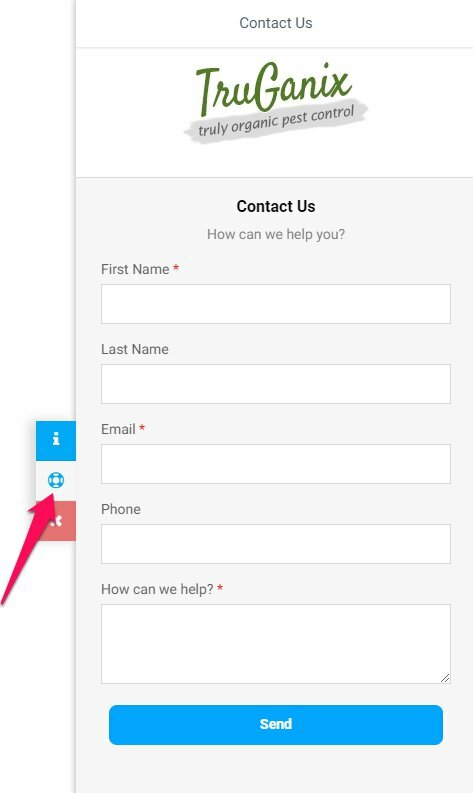 With the widget hidden you can use your unique portal url on any design element (button or link) on your own website. For example, if you create a custom button which says "Manage Account" you would link this button to your unique url. This will redirect the customer from your website to your portal. 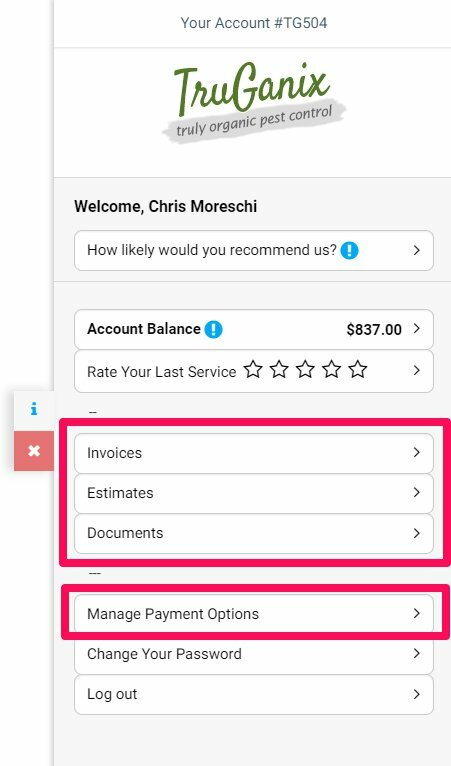 With this feature active, you can provide your customers a simple way to contact you. 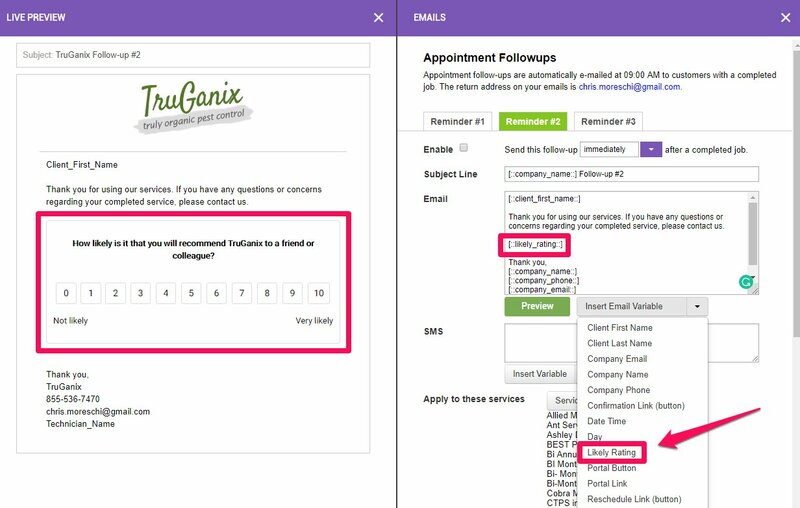 The contact form submissions are sent to your company email as well as placed in the Inbound Leads report. This area is still under development and coming soon. You'll be able to set certain services up for online booking. Convert new websites visitors into customers and jobs booked right on your schedules. This is where you'll want to paste the url where your customers will leave a review. When the customer selects the highest rating, they be redirected to leave a review. 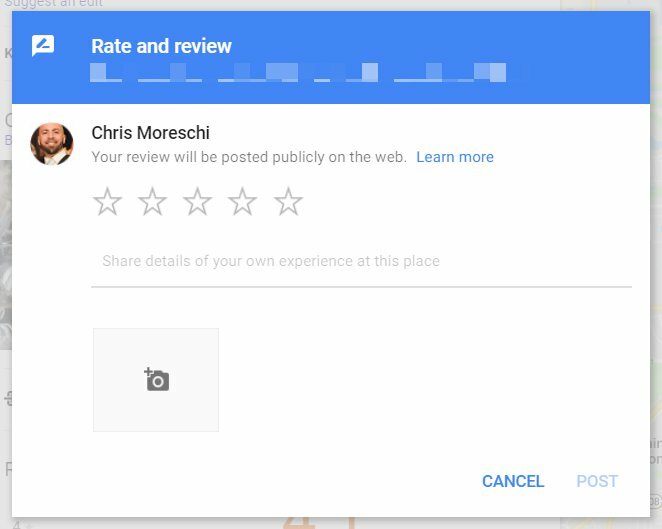 Navigate to your Google review page as a new visitor. You can easily do this in Chrome's incognito mode. Once there, copy the url at the top of the page. Paste this link in your review settings area. Enter your business name in the "Enter a location" field at the top of the map. 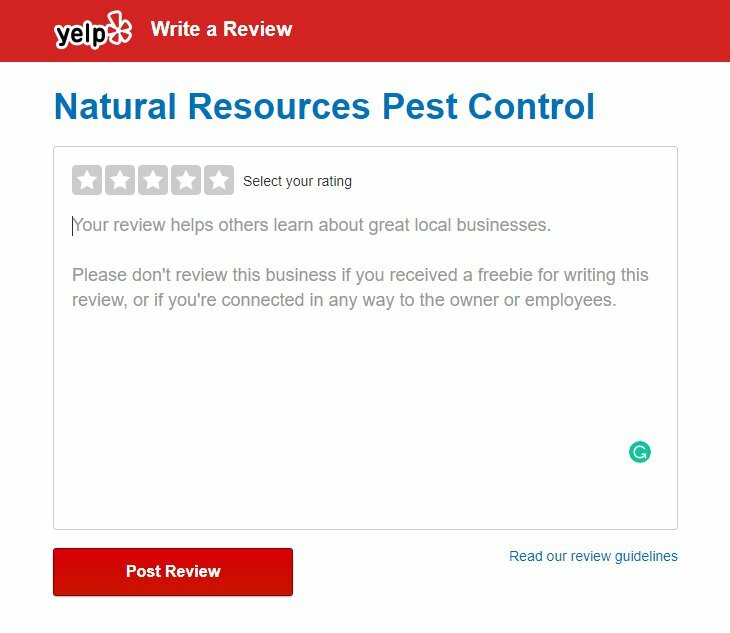 Follow the same instructions to grab your Yelp url if you'd rather redirect your customers to Yelp instead of Google. 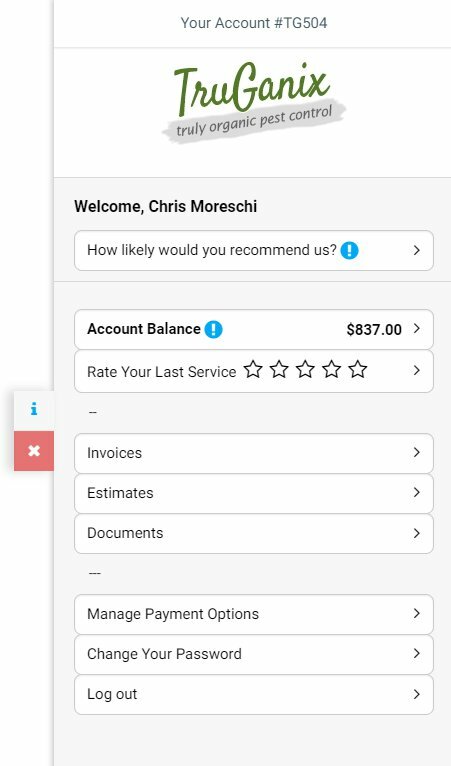 Activating service reviews will also prompt your customers to review the last Complete service right inside the portal. 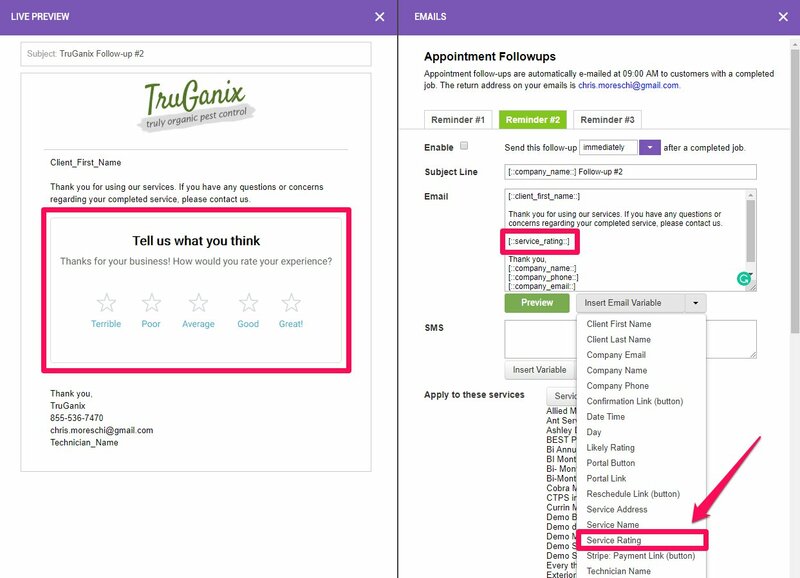 Embed the Service Rating short code in your email templates to prompt your customers to leave service reviews. We recommend using this short code in your Follow Up email templates. 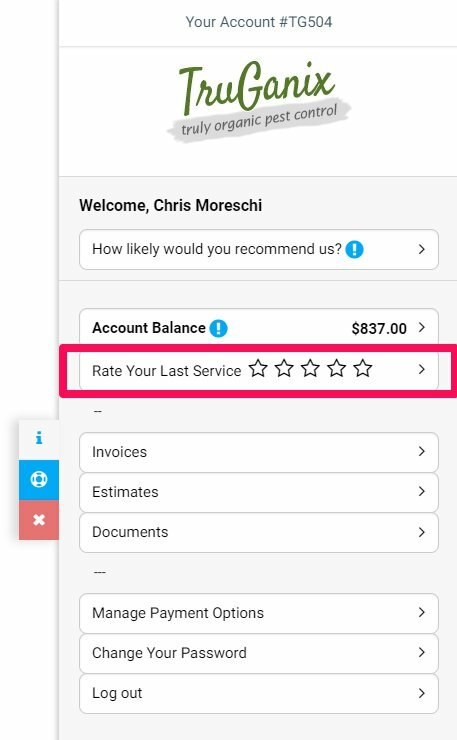 Service Reviews are collected into their own service ratings report. Unlike Service Reviews, Likely Reviews should only be used every 60 to 90 days. Complete the same steps outlined above to insert your Google, Yelp, or any other redirect link. 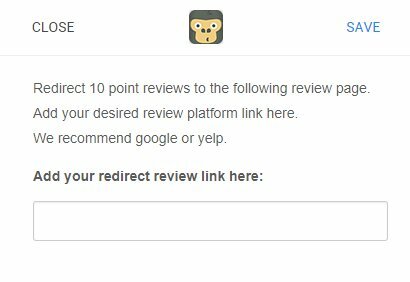 Embed the Likely Rating short code in your email templates to prompt your customers to leave likely reviews. Likely Reviews are collected into their own likely ratings report. 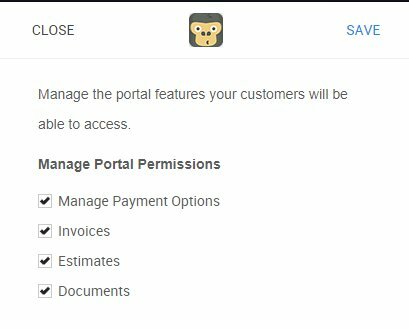 Once your portal is activated you'll have the ability to manage Portal Access with each customer's profile. Updating the customer's login and password on their behalf. Sending your customer a password reset email. Requiring your customer to update their password prior to the next log in.